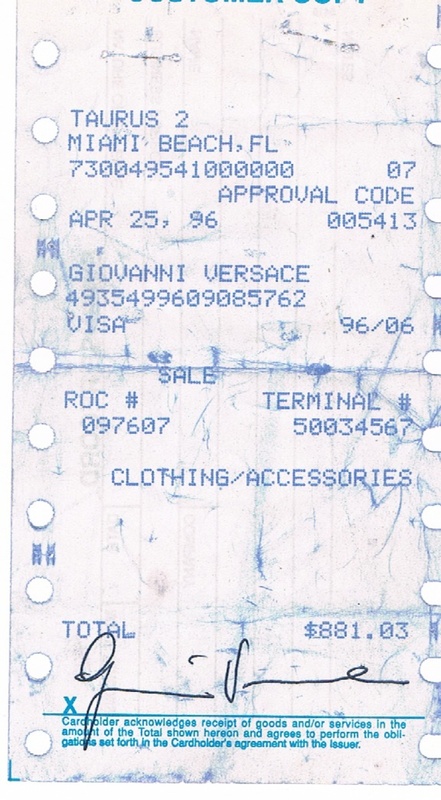 (1946 – 97) VISA credit card receipt from April 25, 1996 SIGNED by GIANNI VERSACE, the Fashion Legend. 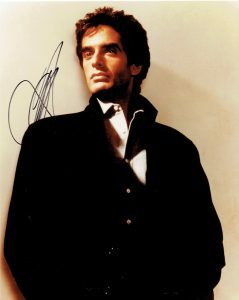 (Less than 15 months later, he was brutally murdered just blocks from this store. 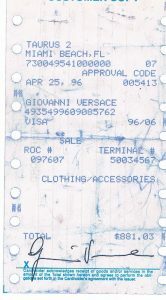 This receipt is PERSONALLY HAND-SIGNED by Giovanni “Gianni” Versace. Receipt is in the amount of $881.03 for “Clothing / Accessories”. 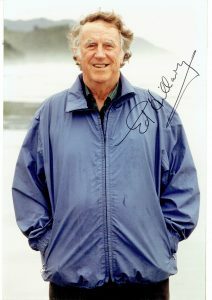 The signature is in pen and measures 2.25″ long.